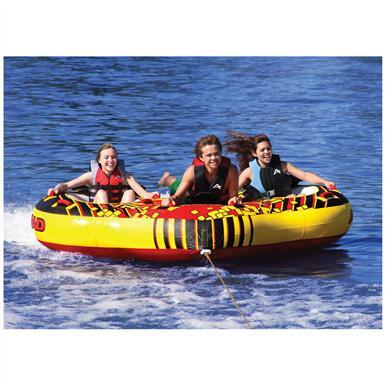 Airhead® Transformer 3-rider Towable Tube triples-up on summertime thrills with 3 ways to ride! 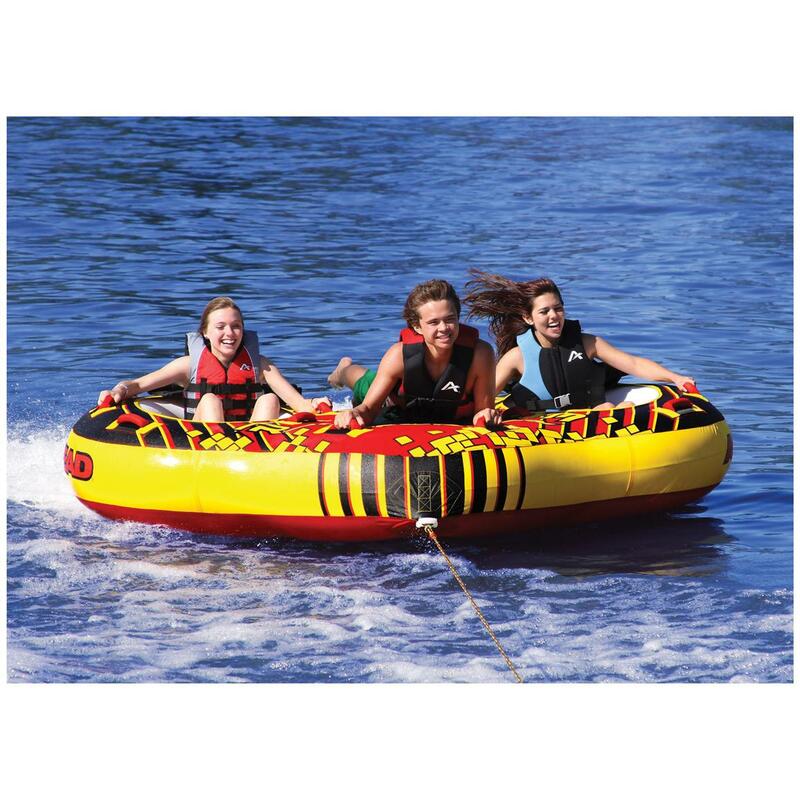 Lots of Inflatables claim to be fun for the whole family, but the Transformer 3 Inflatable really delivers! Young and old alike can get in on the fun. Young riders will love the safer feel of "cockpit mode" (where you sit IN the tube), while older riders looking for a wilder ride will love "deck mode" (where you sit ON the tube)! 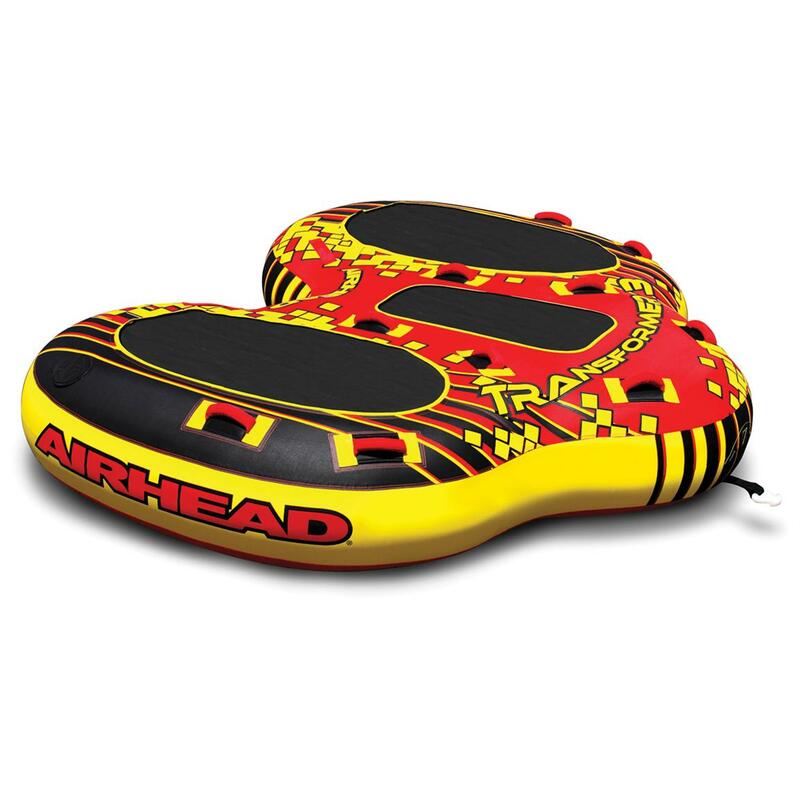 Transforming this 3-rider Towable from mild to wild is a snap... simply insert the inflatable bladders into the cockpits and roll the neoprene pads into place. Or, mix and match so riders of all ages can ride together! Measures 112 x 92" l. (deflated). Kick back, relax and beat the heat!